There is no way that this film deserves a 2 star rating given by the View London critic. 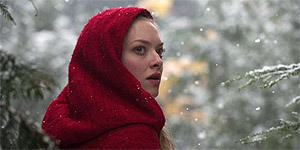 True it is not the best werewolf movie, but it is a very well done take on the Red Riding Hood story. Beautifully cinematography, good acting, credible storyline, well kept mystery, reasonable amount of action and lots of atmosphere kept me engaged all the way through. As for not having a werewolf transformation scene ... good! It is such a cliche now that it really would have added nothing to the film. This film is about story, myth and atmosphere, not special effects. I'm no film critic, but i have seen the trailer for this and it looks brilliant. Can't wait for its release. Rob Cullen, Shoreham.